The FastBook is the online version of our Enrolled Agent study guide that is loaded with advanced features. With it, you can leverage your performance data to focus your time more effectively. As you study, our system learns about the subject areas with the best chance to boost your score. We highlight your best opportunities in the book immediately, so you don’t waste time with the things you already know. We analyzed all student responses to every question in our enrolled agent test bank and discovered several areas that consistently give people the most trouble. We provide additional focus on these “trouble” areas with detailed step-by-step video explanations. The explanations are very popular, and can save you substantial time trying to figure things out on your own. 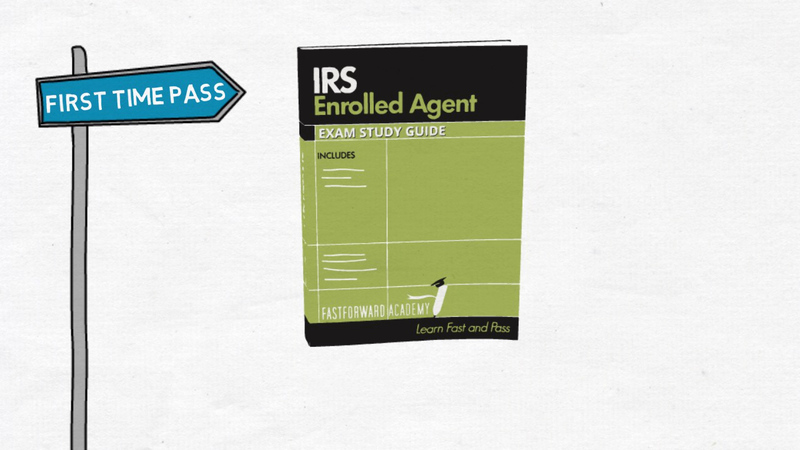 All the information you need to pass the Enrolled Agent exams is contained within these pages. The book follows the current (2015) exam specifications and format. The print version includes the same information as the online FastBook version, and is great for those who prefer a printed textbook. Finally, an EA exam course designed to help you pass the first time!